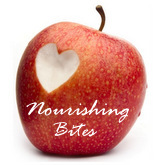 This fun little activity will help you count down the days until Valentine Day. My daughter helped me attach 14 chocolates to the ribbon. We then hung our little plaque on the wall. 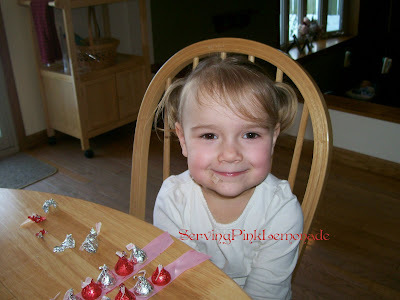 Every day after lunch she gets to pick a chocolate off the ribbon to eat. Get creative. 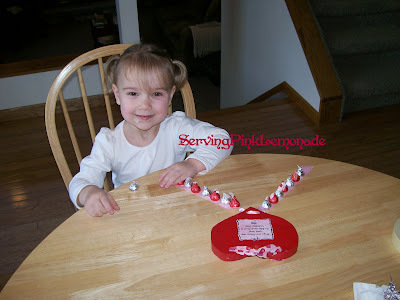 Attach the note to a bowl full of Kisses on the kitchen counter or try using a long ribbon. 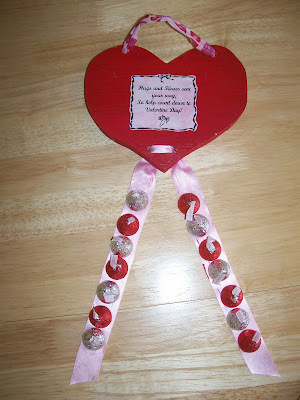 No matter how simple you make it the kids will still love counting down to Valentine Day. I wish I had check this site two weeks ago! I need to remember this for next year! Where did you get the heart?